With each new season of Fromula Drift comes new cars, new drivers, new teams, and new styles. 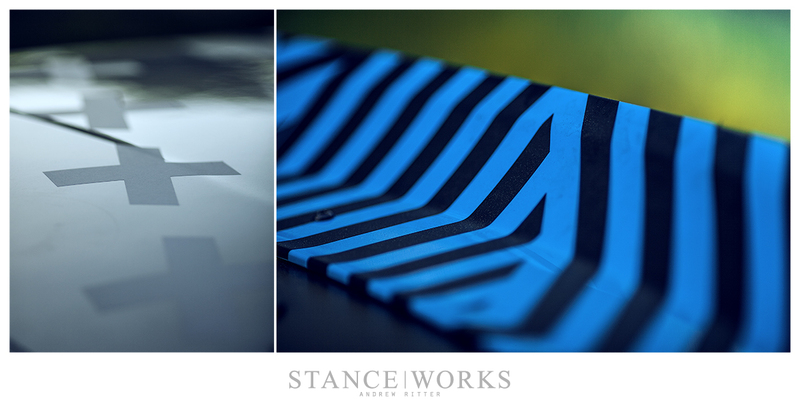 It's a sport that has evolved in countless ways - some more appreciated than others - but one thing remains constant. 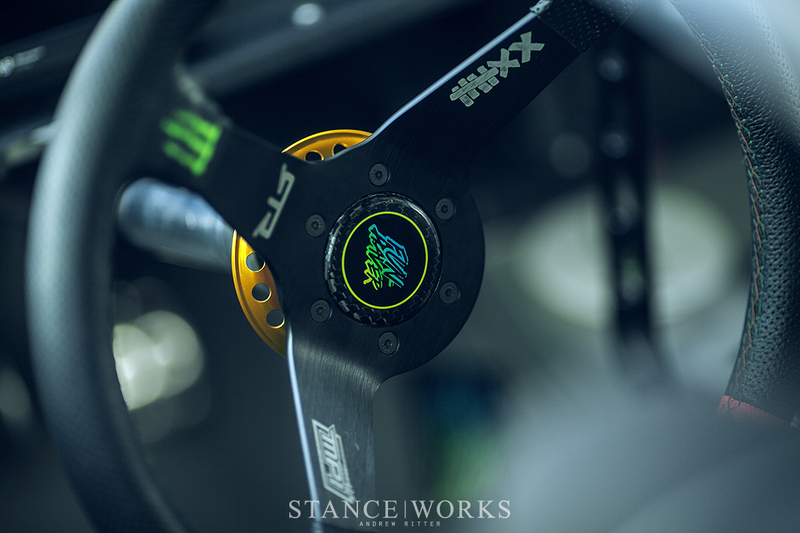 Formula Drift is owed a sense of gratitude for its captivation of young enthusiasts, and their introduction to the world to auto racing, in one form or another. And to that end, we owe the drivers too. From them spawns a new generation of automotive enthusiasts whom have found their love for a sea of screaming V8s in the tire-smoke fog of war from battles on the tarmac. There are of course a few crowd favorites; legends of the sport... Those who capture the essence of drifting, the spirit of showmanship, and of course, the endearment of fans, more likely than not, thanks to their incredible cars. 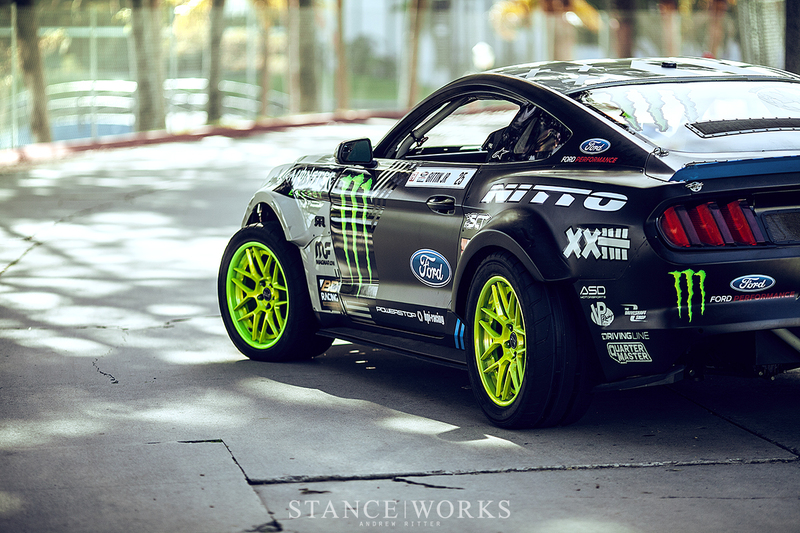 For us, it's the RTR Nitto Tire/Monster Energy Ford Mustang and its pilot, Vaughn Gittin Jr, that enamors us most. Between its over-the-top power, vibrant colorway, and the track-dominating driving style Gittin is known for, we can't help but fall in love year after year. It's been some time since we last met with Gittin, who many suggest is the the official "Fun Haver" of professional drifting. 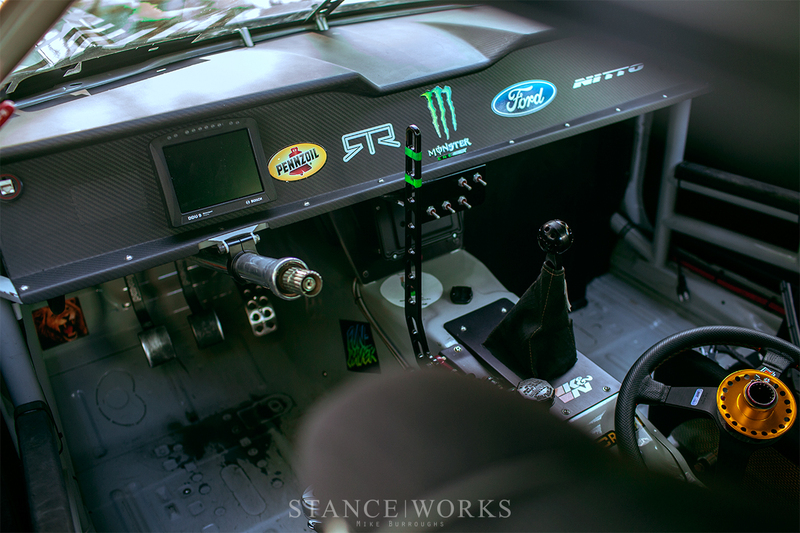 As one of the motorsport's most recognizable figures, his Formula Drift-prepped Ford Mustang has always been one of the crowd favorites, and as a bit of a showman himself, he serves his fans unlike anyone else. 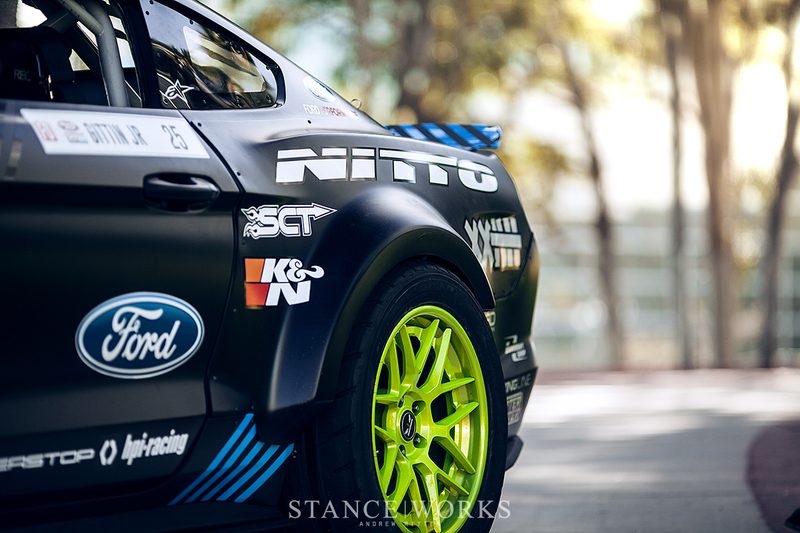 Four years ago, we enthusiastically welcomed Gittin and his new car to the Nitto Tire team, and since, he's managed to put himself on the championship podium twice, with a 3rd place overall finish in 2014 and 2016. 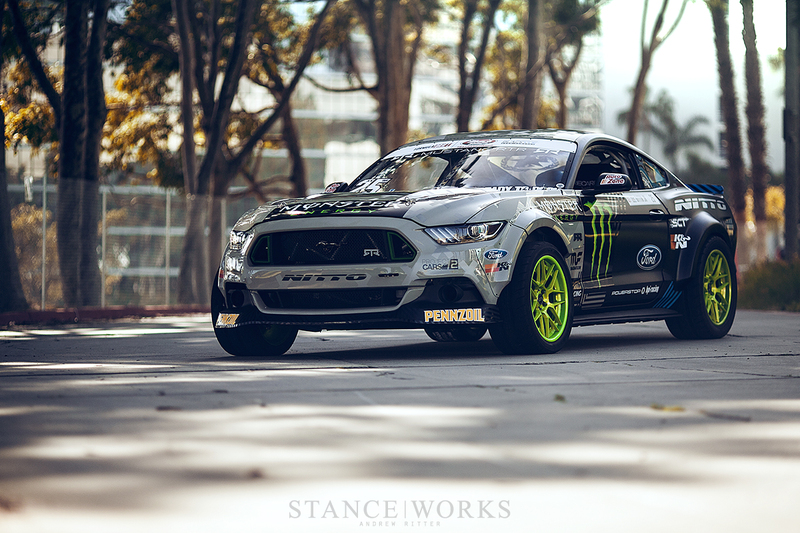 This year, the race is on for a first-place finish, and with a bit of luck, perhaps the new 2017 Ford Mustang RTR Spec 5-D will take Gittin there. 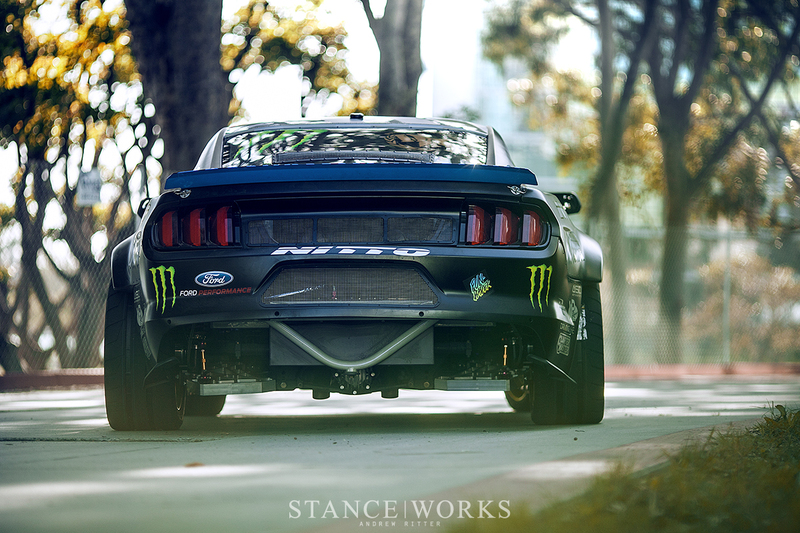 Gittin's RTR Drift Mustang has evolved over the past several years, step by step. For those who haven't seen it since we last featured it though, it's an entirely different animal. For starters, the car is based upon the newer 6th generation Mustang, although it now stands as a meaner counterpart to its road-going siblings. RTR carbon fiber body panels are fitted to the coupe, giving the car a significantly wider stance and a much more aggressive presence. 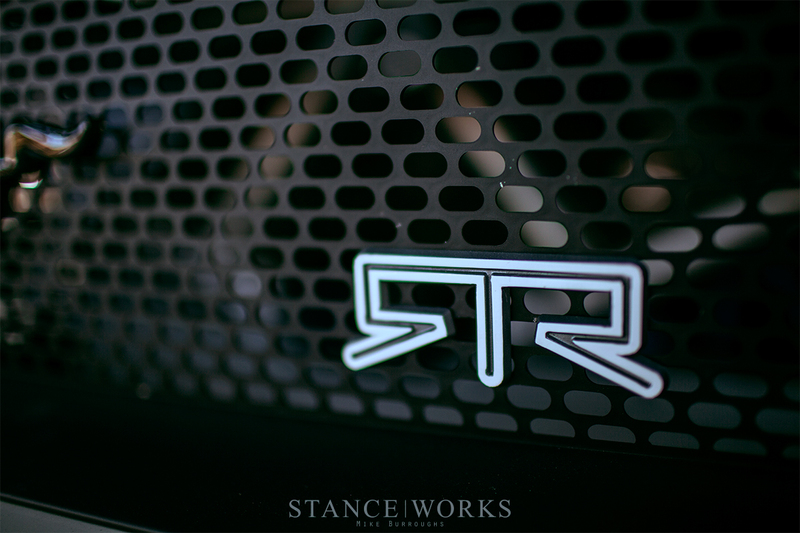 Touches like the RTR front lip bring some of the aggression to the front, and helps to counter the looks of the much needed front ride height. The graphics, as always, were laid out by Vaughn himself, lending credence to his style and character. 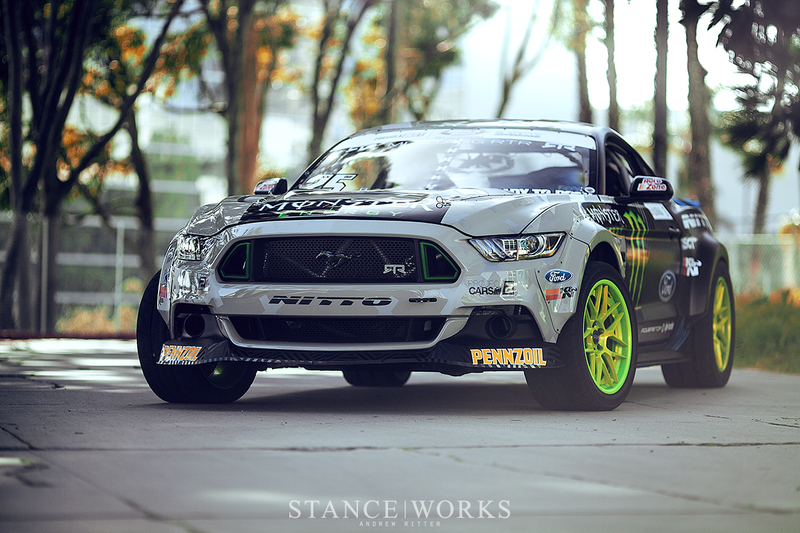 On paper, the Nitto Tire Mustang is fast, weighing in at just 3,000 pounds and sporting a Ford Performance/Roush Yates RY45 9,000RPM race engine under the hood. 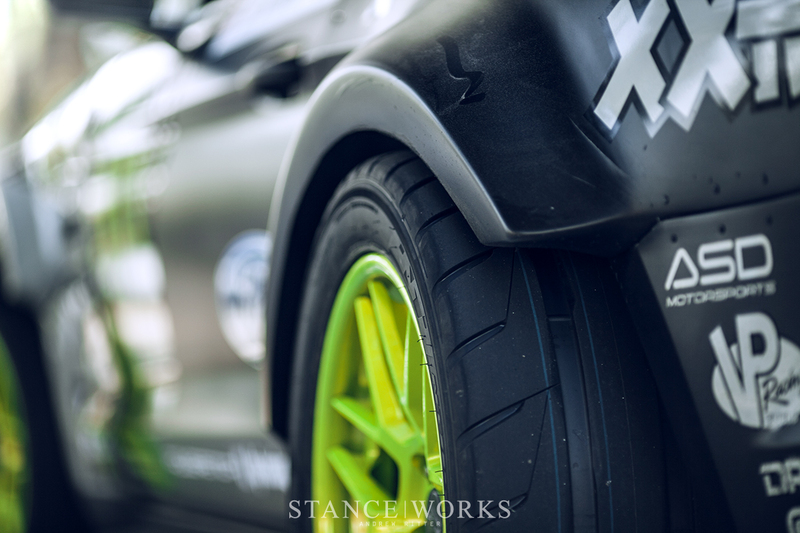 With more than 1,000 horsepower on tap, the car is able to overpower and boil the incredibly grippy Nitto NT05 tires in an instant, yielding enough smoke to encompass the entirety of the Long Beach Grand Prix. 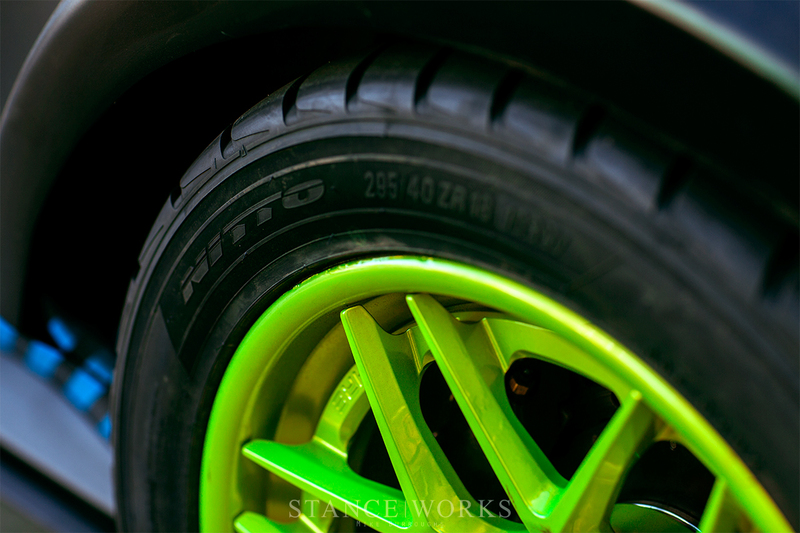 However, the car does have 295mm wide tires mounted on all four corners. 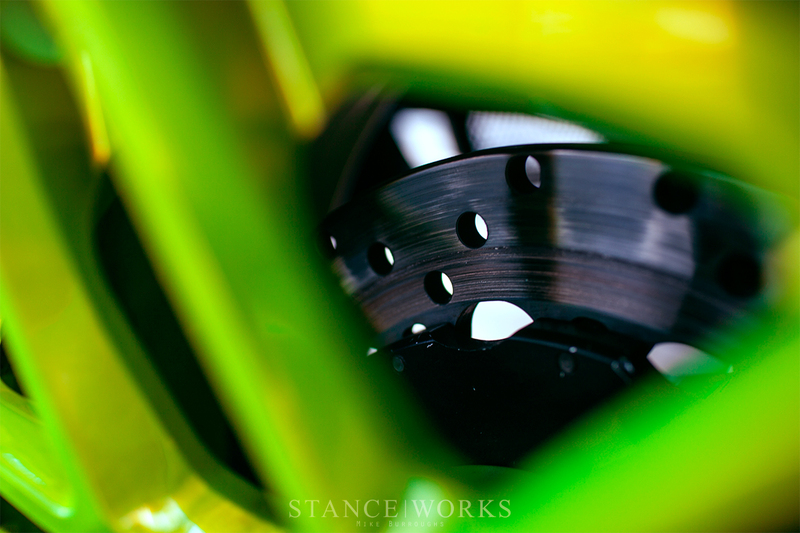 As high performance road tires capable of track day duty, NT05s on the front end fight back against the disruption at the rear, and are able to keep the car planted and controlled, allowing Gittin to place the car within fractions of an inch of where he wants it. At high speed. Sideways. 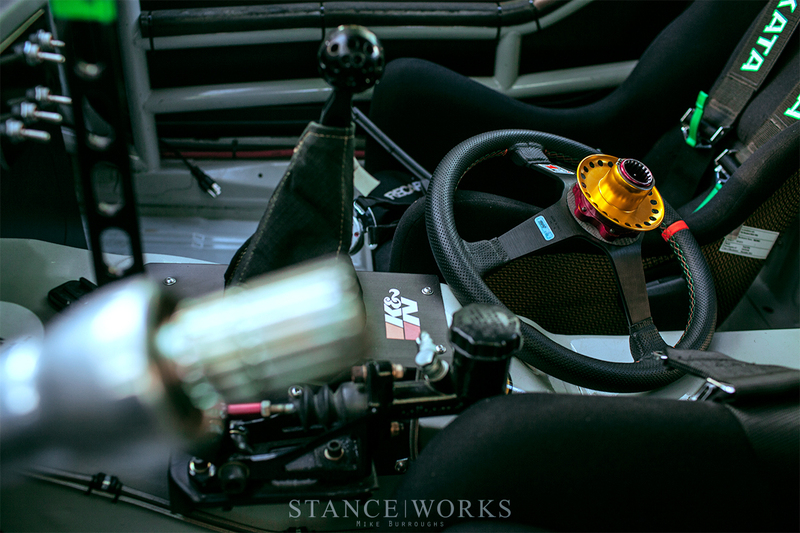 The result is a car that's built for one purpose: drifting, and with Gittin behind the wheel, it does so incredibly well. Watching him drive is always a spectacle. 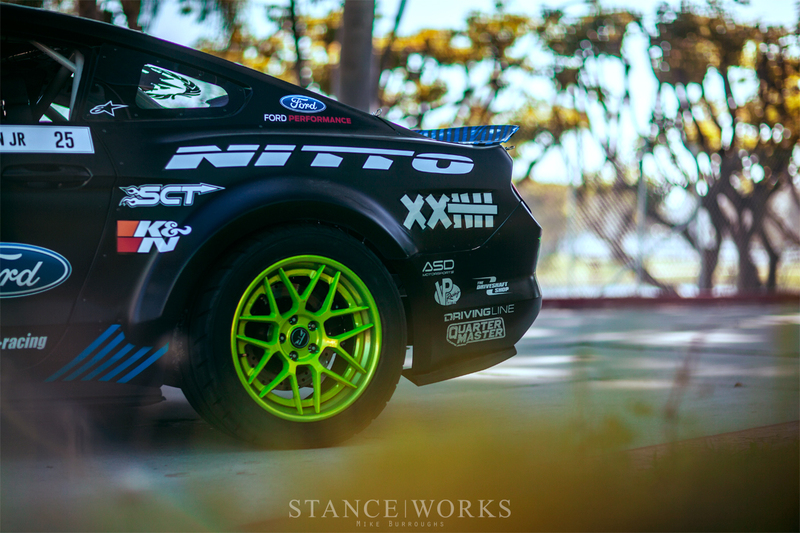 whether he's swapping paint and vinyl with K-rails, pylons, or sometimes even other cars, it's never not exciting. 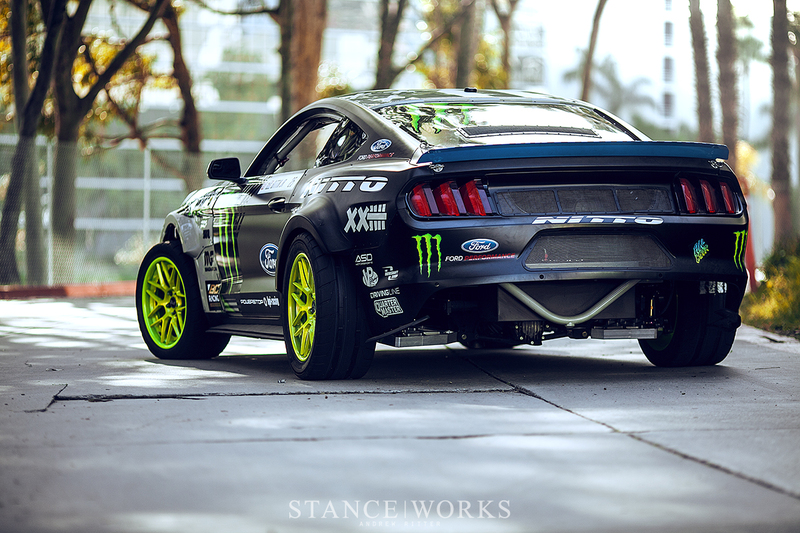 For us, Vaughn Gittin and the Nitto Tire/Monster Energy RTR Ford Mustang are reason enough to come back year after year. The car being carbureted was a bit of a shock to me. 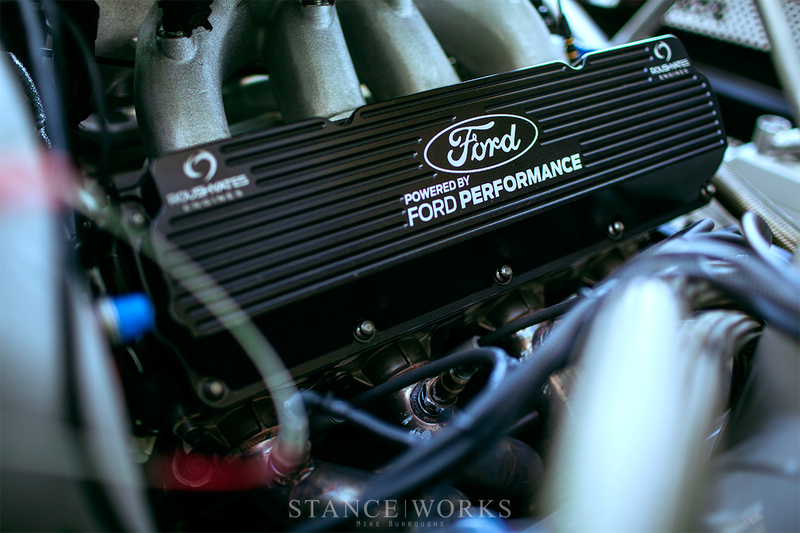 Is this really carbed or like a new/race aged fuel injection? 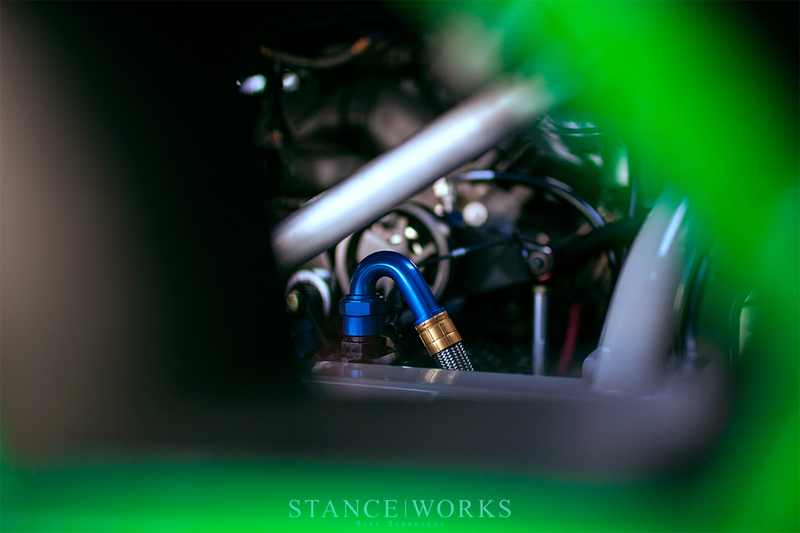 The car is fuel injected – but it sure does look carbed, doesn’t it?